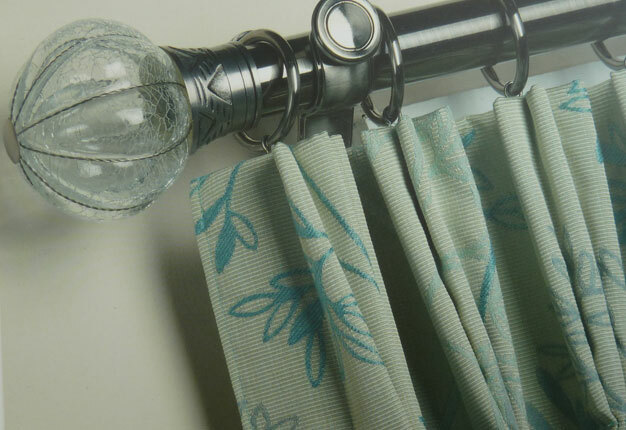 To complete the job we have a range of poles and track that can be supplied alongside your curtains, we can even arrange fitting and hanging if you require. Colourways lightweight Fineline Track is suitable for all curtain weights. 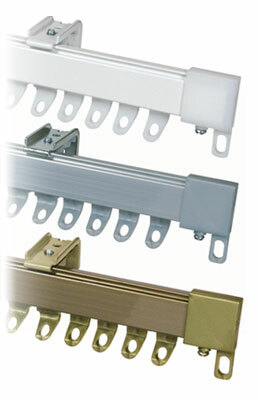 The aluminium track is flexible enabling it to fit bays of all shapes and sizes. All measurements must be given in metric to the nearest whole cm. We strongly recommend you install your track or pole before measuring. 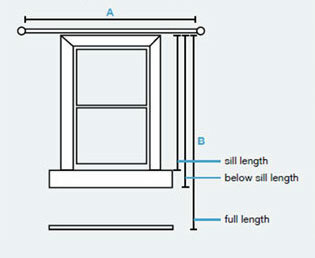 Measure the track (end to end) or pole (between finials) NOT the window. Measure from the top of track or bottom of curtain rings to desired length. 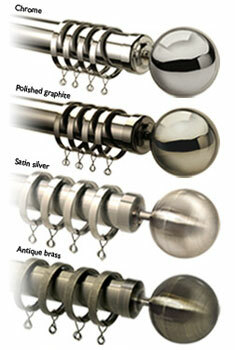 Our collection of metal poles offers a more contemporary appearance for your home. 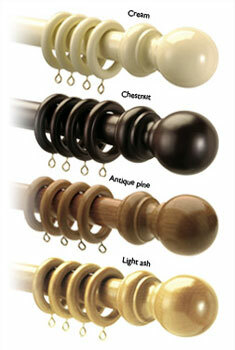 Colourways offer a range of finials to add that extra touch of style and class to your home. 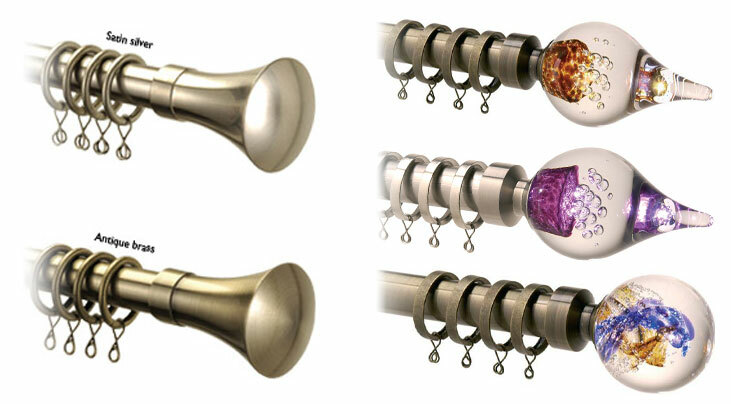 These vary from classic metal finials to fine hand crafted glass finials. When requesting a quote via the Wish List please state which poles or tracks you require or alternatively contact one of our friendly, approachable staff to discuss the best poles or track for your home.